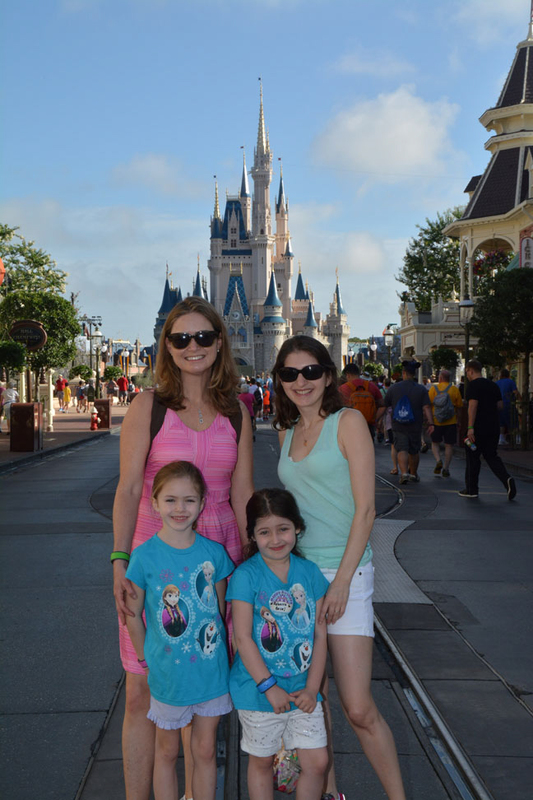 So, when my daughter Belle started planning another princess-themed birthday party this year I decided I would surprise her with a Disney Princess vacation to Walt Disney World instead. I figured it may be her last year in the princess zone, so we’d go out with a bang! My best friend decided to surprise Maeve, her 6-year-old daughter, too. Together, the two of us planned the ultimate Disney Princess vacation (costumes included). 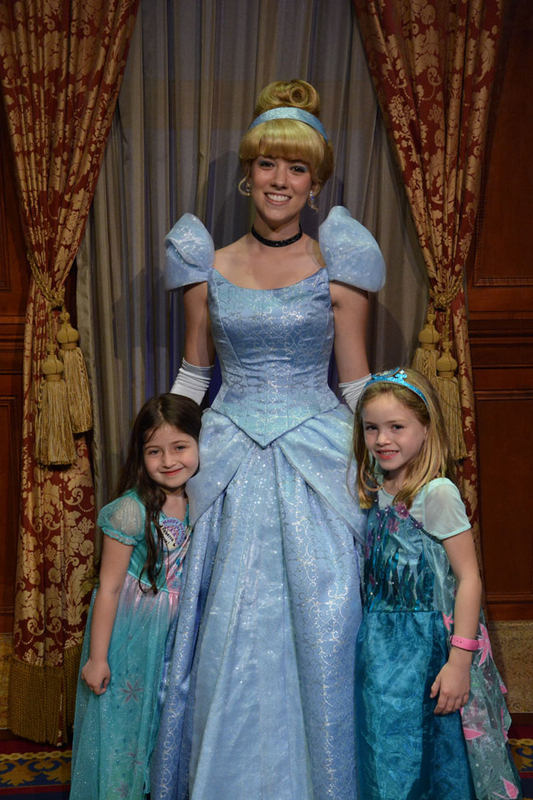 Tip #1: Schedule time to meet all the Princesses, or at least her favorites. Disney knows that some people are there just to mingle with their favorite characters, so you can literally line up at specific spots to meet them, take photos, and get their autographs. Only at the Magic Kingdom can you FastPass your Princess visits, cutting your wait time significantly. To save time in (really) long lines, it’s best to book a Princess dining experience to cross a bunch of them off your to-meet list. FYI: While most Princesses can be found at multiple parks, Sofia the First only holds court at Disney’s Hollywood Studios. Tip #2: Dine with the Princesses. 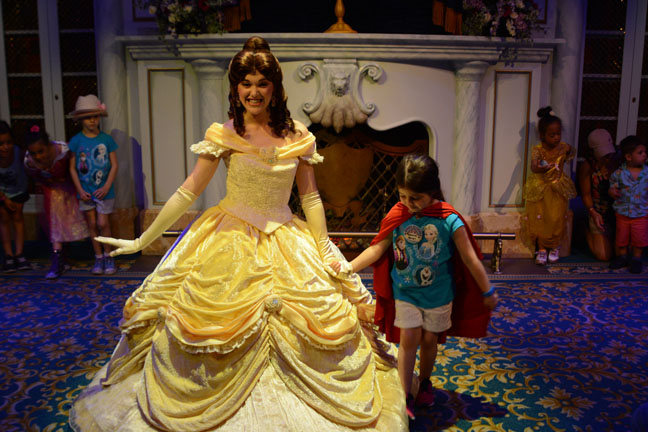 To get as many Princesses done in one shot book a reservation as early as possible at either Cinderella’s Royal Table at her Castle or at Akershus Royal Banquet Hall in Norway at Epcot’s World Showcase. Both serve all three meals and about half a dozen Princesses will be there to greet you, and pose for pics while you dine. If Cindy is who your little girl is after, Disney’s Grand Floridian Resort has dinner with Cinderella, her wicked stepmother, stepsisters and Prince Charming. Tip #3: Don’t forget that princes can be charming too. While our little girls were more interested in the ladies, the moms wanted to meet some handsome princes. Gaston will tell you how handsome and strong he is in Fantasyland and you can meet the Beast at his castle/restaurant Be Our Guest. The other prince option is Aladdin who hangs out with Jasmine in Adventureland and Morocco at Epcot’s World Showcase. While the girls may not be as enthusiastic as you are, give them some of the grey stuff at Be Our Guest. It’s delicious. Tip #4: Take in a Royal-themed show. I’ll admit it: I sang louder than the kids at For the First Time in Forever: A Frozen Sing-Along Celebration. “I just wanted to watch it,” my daughter tells me. Another great show was Enchanted Tales with Belle where the kids can be part of the story. “We met Belle and that was really exciting and when I danced with her, because I was the Beast, I told her that my name was Belle and she said that’s great,” recalls Belle. For less interactive options there’s the stage production of Beauty and the Beast and Voyage of the Little Mermaid, both at Hollywood Studios. Anne Chertoff is a mom to a 4-year-old boy and 6-year-old girl, and a freelance writer. When not covering a real wedding or writing about the latest wedding style trends, you can find her chasing her kids around the playground or shopping the latest kids' sample sale. Anne has written for Martha Stewart Weddings, iVillage, BRIDES, the New York Post, Aol, and a variety of other lifestyle and news outlets on parenting and pregnancy, fashion and beauty, and travel and weddings. She lives with her family in Brooklyn, New York.